What is the Lumenis AcuPulse CO2 Laser? ​The Lumenis AcuPulse™ is a complete ablative laser resurfacing workstation, featuring state of the art technology for all aesthetic resurfacing needs. It is the gold standard for improving your skin’s appearance through correcting sun damaged skin, uneven pigmentation, fine lines and wrinkles, large pores and scars. It brightens and tightens the skin for dramatic results. What is the Downtime and Recovery? ​Although the CO2 laser is the gold standard for skin tightening and wrinkle reduction, it has the longest recovery time of up to 2 weeks. 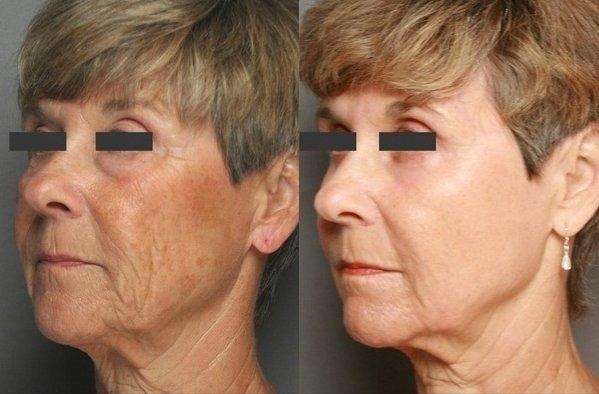 The CO2 laser causes redness for about one week and then the skin is pink in color for another several weeks. Some patients may stay a very light pink for several months, but this can be covered by make-up and is always temporary. Please understand that the fractional CO2 laser can be customized. Treatments can be deeper, with more healing and downtime, or shallower, with less healing time. The deeper the treatment, the better the results generally. But some patients prefer to have two treatments that aren’t as deep so they can avoid a lot of downtime. A general rule of thumb is the better the results the longer the downtime. ​​Please call (352) 399-7295 for more information or to schedule a free consultation. You may also complete the online form below and we will contact you shortly. Thank you.